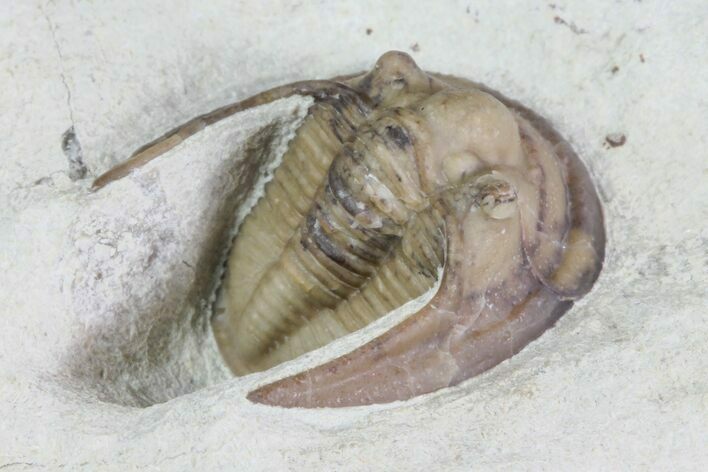 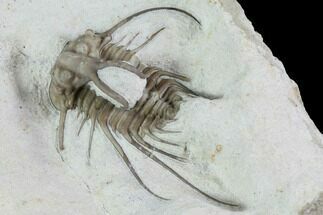 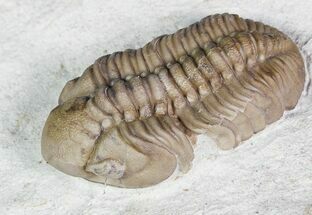 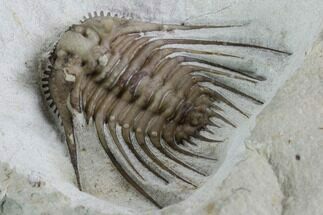 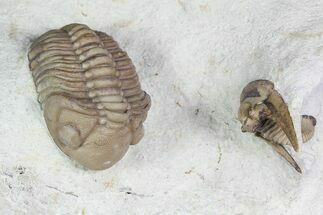 This is a .7" long example of a scarce trilobite from the Haragan Formation of Oklahoma, Cordania falcata. 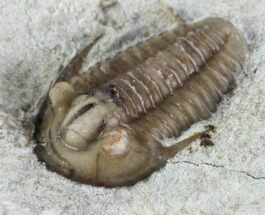 It comes from the famous Black Cat Mountain quarry near Clarita, Oklahoma. 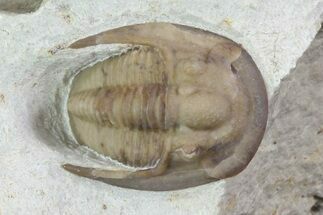 It has been prepared under microscope using air abrasives to reveal the beautiful shell preservation.